Munich is the city with the highest quality of life in Germany, and for years the Bavarian capital has led the city rankings in this category by a clear margin. Indeed, Munich offers everything which modern people desire from their city – an excellent infrastructure with public transport, direct highway connections including the airport, and a wide range of work offers from global players to creative start-ups. 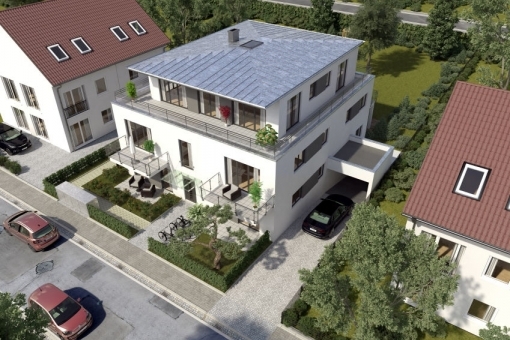 Are you considering the sale of a property in München? We will find the right buyer for your house or flat. Find out about the modern marketing options that an international network offers you. Avail of our free valuation service. Give us a call on +49 89 242 900 46 or send an e-mail to muenchen@portamondial.com. We look forward to hearing from you. 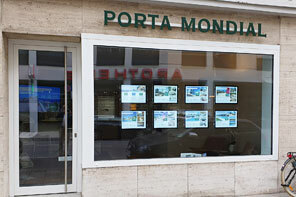 Porta Mondial Munich - your estate agency for München. When you are buying your dream property, we place all of our longstanding experience in the area of residential and holiday property at your disposal. Apart from our regional properties, our portfolio also contains a wide range of interesting holiday properties in Germany and Spain, whether for your own use or as a profitable investment. We handle everything from search and selection to key handover. We are happy to advise you on financing options and on planning your move. 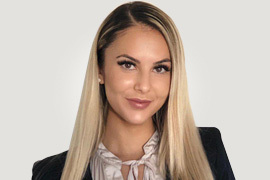 We are familiar with special legal and fiscal aspects, and can offer you legal guidance in conjunction with a highly respected law firm. Special clients for special properties deserve special service. Porta Mondial clients first and foremost appreciate our consultants’ precise local knowledge, as well as their extensive market know-how. Discover the quality of our services for yourself. You can contact our consultants by telephone on +49 89 242 900 46. In addition the people of Munich enjoy a range of leisure activity offers which many tourist destinations can only dream of. Right in front of their door are the Starnberger Lake, Ammersee, Wörthsee, Pilsensee and Lake Weissling. The five lakes of the Munich environs are all only 15 to 20 minutes away by car, or accessible easily by the suburban railway. Coming from the north the peaks of the nearby Alps can be seen behind the city – in not much more than an hour Munich residents can be skiing in Kitzbühl or Reit im Winkel, and in summer they love to drive over to the Gardasee for the weekend, only around 3 hours away by car. The renowned Ludwigs-Maximilianeums University is situated directly at the English Garden, the 'green lung' of the city. With 112.000 students the Isar metropolis is one of the biggest university cities in Germany. In summer it is traditional to meet in one of the many beer gardens where the guests can take and eat their own food. Munich is the most popular city in Germany and its population increases from year to year by around 25.000 people, so that by 2035 the number of its inhabitants will have increased from today's 1.53 million to over 1.7 million people. A fact which is reflected particularly on the housing market in the form of ever-increasing prices, as Munich is not only the most desirable real estate location in Germany, but also the most expensive. For 2017 the the Institute of the Real Estate Association IVD Süd calculated an average price per square metre in Munich city of 6.200 euros. Alexander Ascherl, however, who has taken over the Porta Mondial franchise licence for Munich together with his colleague Daniel Kraus, knows that expensive is relative – "Munich was never cheap, here it is not about whether you buy, but when". Independent market researchers prove the real estate expert is right. The Institute for Economic Research in Cologne continues to give a green light to real estate investment. The market volume is impressive – alone in 2016 almost 13 billion euros were spent on real estate. The rental is currently around 16 euros per square metre, well above the national average but it should be said that the rent-clientele in Munich have an above-average solvency. Measured by the relation between household income and rental costs people in Freiburg, Stuttgart, Cologne, Mainz and Rostock pay even more for their accommodation. The Frauenhofer Institute in cooperation with Wealth Cap came to this conclusion. Their location analysis 'DNA of success – city of the future 2040' attested Munich as the real estate location of the future. Daniel Kraus continues to see an upward trend in rent, particularly in desirable locations. Concerning purchase prices the proficient broker with over 25 years experience in the real estate business sees a sideways movement of prices: "In Munich the micro-location plays a deciding role. Even Schwabing is not just Schwabing – an old building in the quiet Franz-Josef street, for example, is a prime location whereas properties on busy streets like Leopoldstrasse or Hohenzollernstrasse are cheaper in comparison". In mid-July the Ascherl & Kraus real estate brokerage GmbH opens its first real estate shop in Munich. The modern, white and green shop is situated in the heart of the Maxvorstadt at Theresienstrasse 21. Normally it is not easy even for businesses to rent an object in this prime location, but both men are very well networked in the area and so hear of real estate offers sometimes before they are offered on the open market. For this reason the Porta Mondial real estate website is, for them, more a visiting card than a presentation of their portfolio: "Many of our owners do not want their property offered publicly on the website and as a rule we sell directly to buyers from our customer base" confirms Daniel Kraus. Porta Mondial's focus is on the top locations north of the Isar: Ludwigstadt, Maxvorstadt, Schwabing, but also Neuhausen and Nymphenburg. The district of Neuhausen connects Maxvorstadt with Nymphenburg and has, with the lively Rotkreuz square its own district centre. The district of Nymphenburg is as noble as its namesake, the Nymphenburg palace. The pompous summer residence of the Bavarian kings was built in the style of Versailles and its two approaches with a small canal are lined with sumptuous villas, making this district one of the most desirable and expensive locations in the city of Munich. To the north Neuhausen merges with the district of Gern with its well kept terraced and detached houses, which up to ten years ago was still a real insider-tip and now also counts as a top city location. 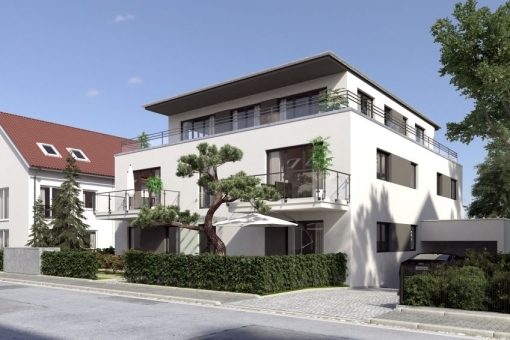 According to the Munich real estate report of the Hypovereinsbank the square metre prices move between 7.000 and 13.000 euros, although with very desirable objects an upper limit hardly exists. Due to the high amount of older buildings in its marketing region Porta Mondial Munich offers profound knowledge of investment in listed buildings: "Only by renting listed buildings can private investors claim tax benefits", says Alexander Ascherl. Similar to the analysts the manager-team at Porta Mondial sees further value-appreciation potential in Munich – provided the location is correct. Both men have over a quarter of a century of experience, know every street and exactly what is happening in 'their' district and which projects are planned in the near future. The current interest level and the high real estate prices make financing an important subject for real estate buyers. Here, too, the Porta Mondial team supports its clients from A to Z and if required arranges competent banking partners with fair conditions. In Munich, however, patience is required when searching for a property, especially if you have specific requirements. The market is tight and good offers disappear rapidly. For this reason the franchise partners are pleased that Porta Mondial offers holiday properties as an alternative to city properties for investors. "Particularly Mallorca and Ibiza are very popular with people from Munich" confirms Alexander Ascherl. Together with his partner he has viewed a number of objects offered by the sister company Porta Mallorquina. "We offer a real alternative with the additional offers of holiday real estate and set ourselves apart from other brokers" Daniel Kraus happily reports. Do you wish to buy or sell a property in München? Give us a call. We offer personalised advice. You can contact our property consultants seven days a week on +49 89 242 900 46. Or write to us. Simply use the form below or send an e-mail to muenchen@portamondial.com. We will reply to you without delay. > Allianz Siegfried Peintinger e.Kfm.